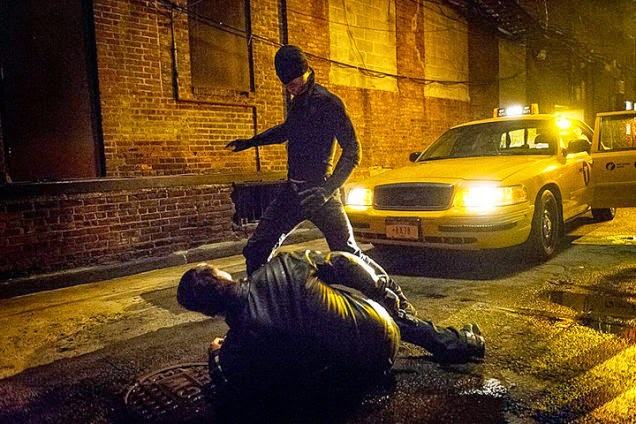 Media dis&dat: Why isn't Netflix's new Daredevil series available for blind people? Why isn't Netflix's new Daredevil series available for blind people? From io9. NOTE: After fan complaints, Netflix agreed to audio describe "Daredevil." Joshua Loevy is an attorney in Kansas City, MO, who happens to be blind. For years, people have compared him to blind attorney Matt Murdock, whose alter ego is the superhero Daredevil. So Loevy was excited to check out the new Daredevil series... but he can't. "The idea that a show about a blind protagonist is not being offered in a format that real blind people can fully appreciate it, is a bit maddening," says Loevy. Loevy says that every broadcast TV network is now required by law to provide 50 hours of content with audio description every quarter. And as for movies, even five or six years ago it was hard to find a theater that had audio description capability — but as theaters go over to digital projection, it's much easier to find. "It was a big deal when the movie theater near my parents' place had it," Loevy says. "But now, I've found that most areas have at least two or three theaters equipped with the service." As for television, Loevy notes that it's annoying that you need to be able to navigate a visual menu to unlock the services for the blind — but at least there's a decent amount of content. "It just serves to drive the point home, that even [with] this show that's centered around a guy that's blind," it's not available for the blind, says Loevy. Daredevil is a character "whose superpowers are derived, in a sense, from his blindness," and the show is "more blind-centric than others." Daredevil is available in closed-captioning, but not in audio description. When CNBC contacted Netflix about this issue, a Netflix spokesperson responded, "We are working hard to provide great entertainment to all our members, including the hearing and visually disabled. We don't have any further updates to share at this time." A grassroots organization called the Accessible Netflix Project, made up of 11 blind volunteers, is pressuring the company to change its policies and add audio description.